"Error, indeed, is never set forth in its naked deformity, lest, being thus exposed, it should at once be detected. But it is craftily decked out in an attractive dress, so as, by its outward form, to make it appear to the inexperienced (ridiculous as the expression may seem) more true than the truth itself." My friends, the great heresy that has infected modern America Christianity is the heresy of Islamophobia. Those who preach Islamophobia as a necessary stance of the church are masters at presenting Islamophobia in "an attractive dress.” Tragically, many "inexperienced" Christians will take their words about Islam/Muslims to heart. Once these words are taken to heart, one of two things can happen. Either Christians will support and even partake in Islamophobic rhetoric/actions. Or maybe even worse, Islamophobia will lead Christians to be indifferent and apathetic towards the plight of their Muslim neighbors. Islamophobia in post-9/11 America has not only been on the rise but it has been extremely successful. This success has come in no small part from American Christians who actively preach and listen to Islamophobic rhetoric, those who actually participate in anti-Muslim activities, and those who ignore Islamophobia. For those who may doubt the severity of the situation, I point you to a 2017 study from the Pew Research Center. Using FBI Criminal Statistics, Pew shows that hate crimes and assaults against Muslims have now surpassed the levels of such crimes that happened immediately following 9/11. 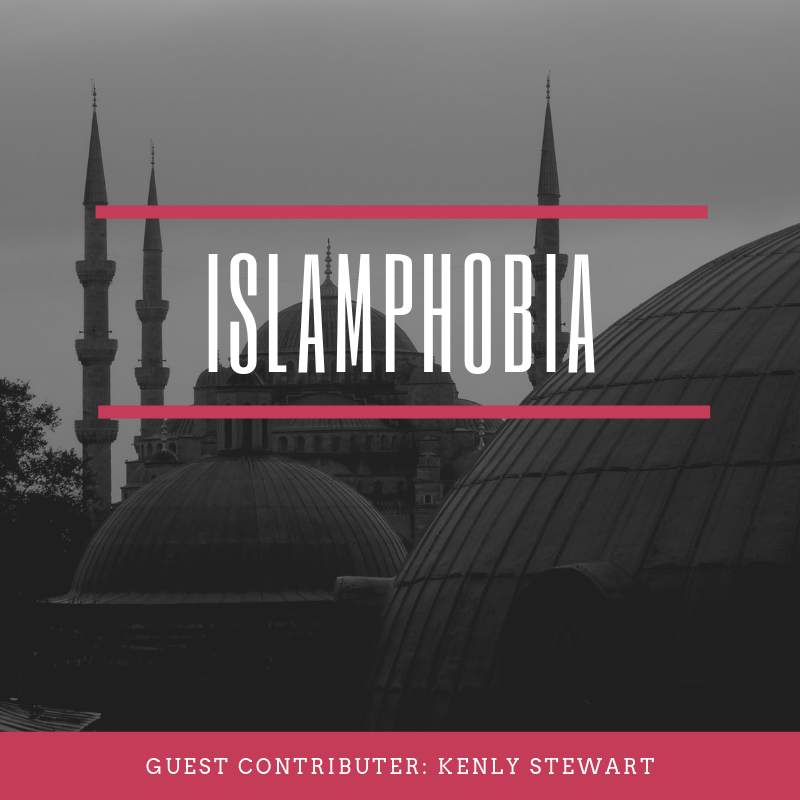 For Christians the rise of Islamophobia in America should not only concern us for political and legal reasons. Islamophobia should concern us theologically, because it is a heresy against Christ and the teachings of the Bible. First and foremost as Christians, we believe God chose to reveal God's self in the person of Jesus of Nazareth. With that core theological assertion in mind, Christians should never forget the historical Jesus was a persecuted religious minority, a native of the Middle East with brown skin, and he was executed by an imperial power in the name of "national security." Islamophobes attack, discredit, and persecute Muslims by using the same line of reasoning used by the Romans to crucify Jesus and persecute the early church. I have yet to encounter any form of Islamophobia that does not rely on “othering” Muslims and presenting their religion as somehow dangerous, threatening, and backwards (like the Romans did with the early church). Christian Islamophobia means Christians have not only turned their backs on their Muslim siblings, it means they have turned their backs on Christ. Christian Islamophobia relies heavily on American Christians being ignorant about Islam and having no close personal relationships with Muslims. Islamophobes use this ignorance to misrepresent the teachings of Islam or teach complete fabrications. How does this count as a heresy you may ask? Well for starters we are told in both testaments of the Bible (literally in both the Ten Commandments and by Jesus himself) that "You shall not bear false witness against your neighbor." Bearing "false witness" against Muslims, along with racism, are the key ingredients to produce bigotry in the form of Islamophobia. I think most Christians would agree that loving our neighbors, because Christ loved us, serves as one of the central claims of Christianity. Some Christians may not like to admit it, but Muslims are our neighbors and we have an obligation to them. As we are told by Saint Paul in Romans 13:10 "Love does no wrong to a neighbor; therefore, love is the fulfilling of the law." Yet love is a verb, it demands action. As Christians, we cannot truly love Muslims if we are partaking in Islamophobia. As Christians, if we truly love Muslims, we cannot sit in silence and do nothing when we witness Islamophobia, be it on the street or from the pulpit on Sundays. To love our Muslims neighbors faithfully, it means we stand with them. So what is my advice to combat the heresy of Christian Islamophobia? First meet and befriend Muslims (they don't bite... usually). Educate yourself about Islam, preferably from Muslims themselves, but at the very least check the sources you are reading, listening to, and learning from. Visit a mosque one Friday. Stop comparing the best of Christianity with the worst of Islam (look at Matthew 7:3-5 for more on this). If you see or hear Islamophobia do something!!! Remember there were people in the crowd who began shouting for the crucifixion of Jesus. But there must have been those who recognized an innocent man was being condemned to die (even Pilate recognized his innocence), yet they remained silent and did nothing. Doing nothing and remaining silent when confronted with Islamophobia makes you like those in the crowd who watched in silence as Jesus was condemned. And guess what? You cannot wash your hands of that. To truly combat Islamophobia as a Christian, all you have to do is love like Jesus, which means love with no exceptions. That will ensure you take the correct course. Why Young Families Don't Have Churches.